The new facility is 6,300 square feet and equipped with cutting-edge technology. 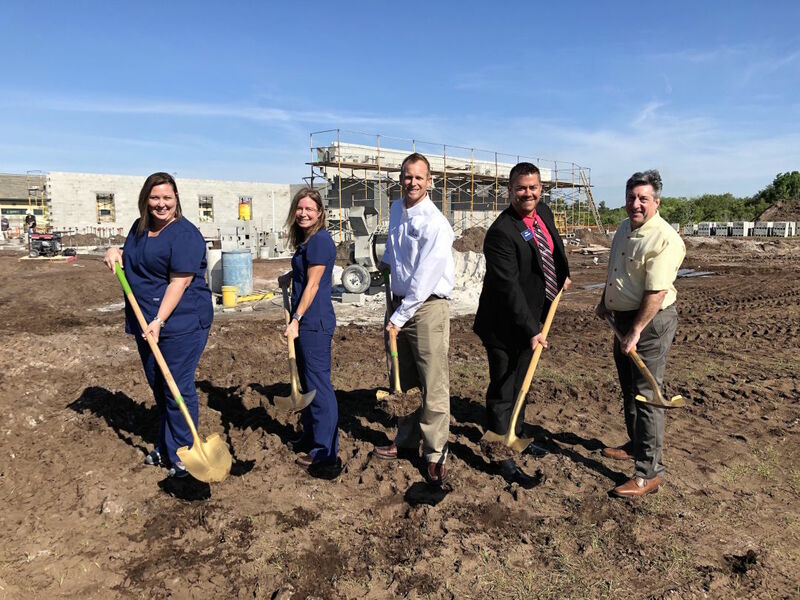 Halfacre Construction Company, a Lakewood Ranch-based commercial construction company, broke ground on the Veterinary Medical Center at Lakewood Ranch. A groundbreaking ceremony was held Wednesday, April 3. 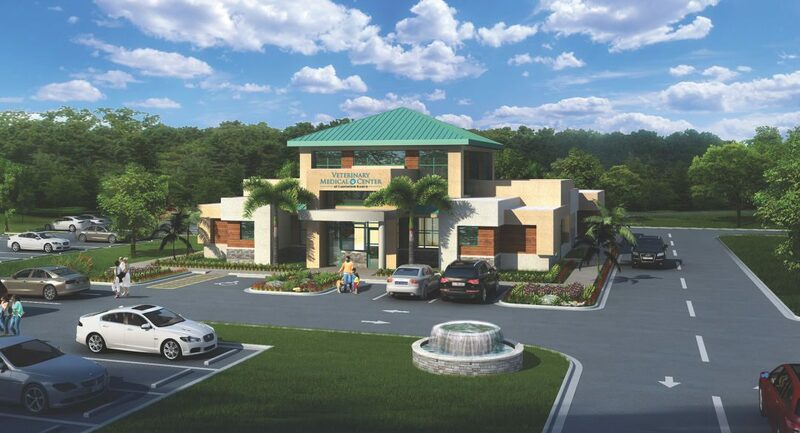 The new 6,300-square-foot facility will house a full-scale medical center, complete with seven exam rooms, a surgery suite, a full laboratory, a dental suite and a spacious reception area. Large storefront windows and doors will be installed to enhance the building’s natural light, and several architectural features will enhance the exterior design by Sivitz Innovative Designs. Equipped with the latest diagnostics to treat everything from minor issues to life-threatening diseases, the on-hand laboratory equipment will include multiple in-house blood machines, ultrasound machines, digital and dental x-ray devices and intensive care unit oxygen. Several tests, including heartworm, lyme, feline leukemia and more, can be treated within 20 minutes or less within the office. Veterinary Medical Center owner Dr. Wendy Ellis and her staff also began providing in-home concierge veterinary care in October 2018. The mobile services include wellness visits, sick visits, blood work, yearly vaccines, palliative care and in-home euthanasia in the comfort of the client’s home. Halfacre Construction Company will also supervise the site work, pave the parking lot and install the landscaping. Situated on a 1.2-acre parcel, the $2 million project is slated for completion in fall 2019.